TOP NEWS: The application for the International TAKIFUJI Art Award 2017 is now open. 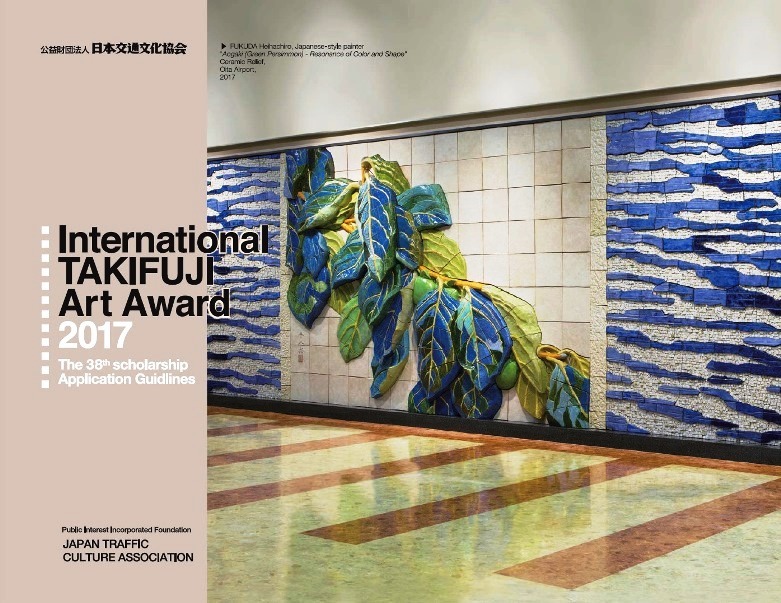 The application for the International TAKIFUJI Art Award 2017 is now open. For senior students at 13 art schools in Japan and 12 abroad, we have begun this year’s application for the 38th International TAKIFUJI Art Award scholarship. With a goal of promoting public art and developing human resources for it, this award provides scholarship to promising art students in Japan and abroad. Besides granting 300,000 yen as scholarship, we invite winners to visit our affiliated atelier, “CREARE Atami-Yugawara Studio”. Students who wish to apply should check the application requirements for this year’s designated universities/colleges, application details, and documents to submit, and submit application documents to JTCA by mail by its deadline on June 30th, 2017. The application requirements can also be downloaded from the JTCA website. We look forward to receiving your application.